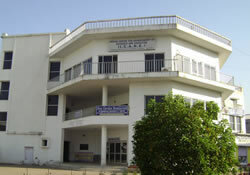 Indian Centre for Advancement of Research and Education (ICARE) is a non-profit making registered voluntary organization solely dedicated to promote, establish, run and maintain educational institutions of excellence in this region so that aspiring students may get an opportunity to pursue higher education in various specialized fields in science technology, management etc. for building illuminated careers of their dream. 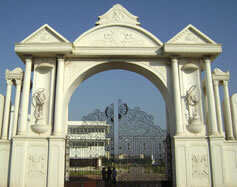 It aims to provide educational facilities at Haldia to keep pace with the rapid industrial advancement in this region. In keeping with the social welfare objectives of the society it grants free, half free studentship and also assists to get scholarships from improvement trusts/funds for talented, enthusiastic and deserving students. ICARE had set up its first private engineering college (HIT) in West Bengal, in 1996, which is now conducting 12 B.Tech and 3 M.Tech courses in a highly disciplined environment and with international standard. It has established other institutions like Dental, Medical, B.Ed., Law, Paramedical, Hospital Management etc. to provide efficient, energetic and skilled man power in modern industries.